I would like to share a story if I can. I could never understand why my parents had such a large family. 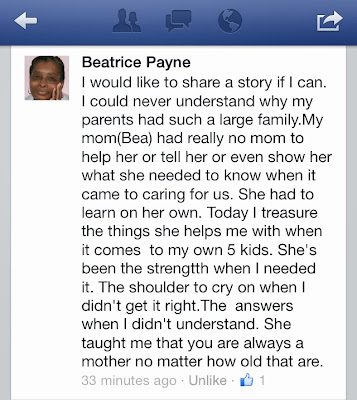 My mom (Bea) had really no mom to help her or tell her or even show her what she needed to know when it came to caring for us. She had to learn on her own. 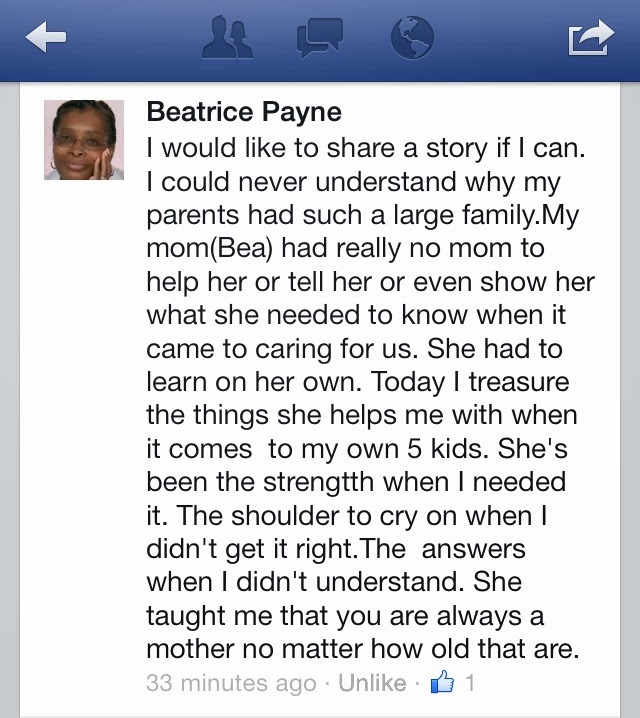 Today I treasure the things she helps me with when it comes to my own 5 kids. She's been the strength when I needed it. The shoulder to cry on when I didn't get it right. The answers when I didn't understand. She taught me that you are always a mother no matter how old you are. The best thing anyone done for me is my kids. Giving me grandkids and great grands. Finishing school and doing the right thing. Working and helping other people. Respecting themselves and other people. Not making the wrong mistakes. Helping me and helping each other. Remembering where they came from. 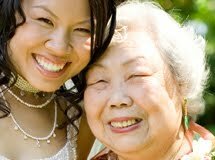 Giving me thanks on Mother’s Day – Mother’s Day is every day.